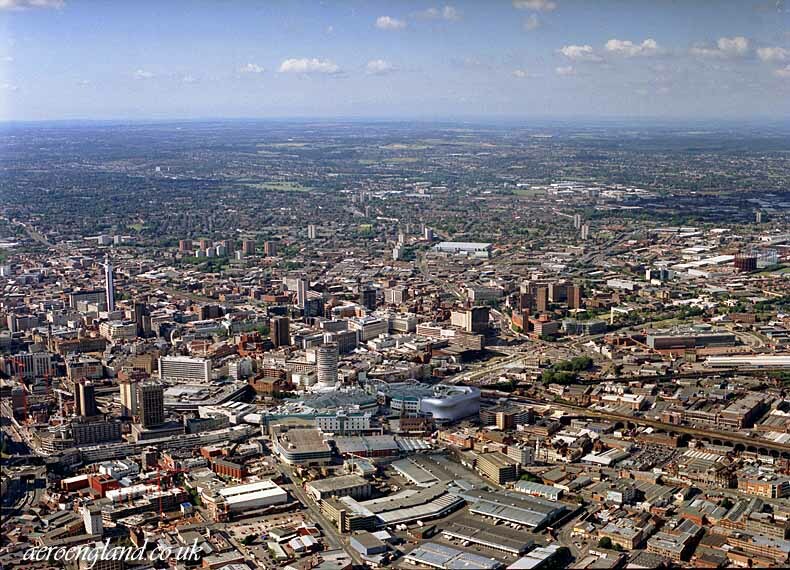 Taken from the south this view shows Birmingham on a late summers afternoon. In the centre we can see the Bullring and to its right the Selfridges store. On the left of the image is the BT tower. The image is available to licence, please email for information.